In three days, Howard on Mortgage Finance will have been live for one year. I thought, therefore, that this would be a good time to look back on the first year’s inventory of posts with a piece that summarizes them, by category, and also provides links to each for reference purposes. I’ve worked toward this goal in my first year of the blog. The majority of my posts fell into two broad categories—establishing the facts about Fannie, Freddie and the mortgage finance system, and (based on those facts) analyzing alternative proposals for mortgage reform. I also did six posts on a more specialized topic—the credit risk transfer securities issued by Fannie and Freddie, which, as I discovered during the course of the year, leave almost all of that risk with the companies. My main reason for creating the blog was that so much of what was being written and said about Fannie and Freddie, and the causes of and potential remedies for the 2008 financial crisis, was demonstrably untrue. The true story, I knew, was “hidden in plain sight,” and could be backed up with verifiable facts. But someone had to showcase those facts, and also weave them together into a narrative that was both understandable and credible. Five of my posts were primarily aimed at doing that. Thoughts on Delaware Amicus Curiae Brief was my first blog post, put up on the same day I submitted that brief to the U.S. District Court for the District of Delaware (February 2, 2016). The post had some commentary on aspects of the brief, but its greatest value as a reference was its link to the amicus itself (found here). Although submitted for one specific case in Delaware, the Delaware amicus was written as a rebuttal to arguments made by counsel for Treasury and the Federal Housing Finance Agency (FHFA) in a host of lawsuits filed against the government for its post-conservatorship treatment of Fannie and Freddie. Treasury and FHFA’s counsel had brazenly put forth a provably fictional account of what the government had done to and with the companies and why, claiming that poor credit decisions by them required their rescue and a subsequent $187 billion bailout by Treasury, and later triggered the need for Treasury to sweep all of their future profits to prevent a “death spiral” of borrowing to pay the cost of that bailout. The Delaware amicus uses a multitude of footnoted source documents to tell a very different story: Treasury made a calculated and planned decision to take Fannie and Freddie over, against their will and without statutory authority, for its own policy purposes and to its own exclusive benefit. The Takeover and the Terms (February 23, 2016) compares the mammoth non-cash losses recorded by Fannie and Freddie from 2008 to 2011—which forced them to take $187 billion in non-repayable senior preferred stock from Treasury—with the subsequent spike in their earnings between the fourth quarter of 2012 and the first quarter of 2014. During those 18 months Fannie and Freddie earned $158 billion, all of which went to Treasury because of the net worth sweep. That amount was one and a half times the companies’ cumulative earnings in their respective 70 and 38 years of existence, proving irrefutably that their 2008-2011 losses were not real. Treasury and the Financial Establishment (April 14, 2016) is a hybrid piece that begins with a review of actions taken by the Federal Reserve and Treasury to try to substitute “private sources of capital” for Fannie and Freddie guarantees prior to the crisis, and ends with a discussion of the irony of “Treasury and the Financial Establishment” taking no responsibility whatsoever for the spectacular failure that resulted from their earlier efforts at reform, while continuing to pursue the same reform objectives today. Getting From Here to There (May 2, 2016) goes back to the mortgage finance system of the 1970s to summarize the history of the battle between opponents and supporters of Fannie and Freddie for control of what at its peak (prior to the crisis) was an $11 trillion residential mortgage market. It then discusses more recent developments in both the post-conservatorship management of Fannie and Freddie and the court cases filed against the government challenging that management, linking them with the history of what I call the “mortgage wars” before speculating on how all of these interrelated events might ultimately play out. It is an axiom in Washington that “you can’t make good policy with bad facts.” Seven of my posts were attempts to apply “good facts” to the analysis of alternative ideas or proposals for mortgage reform. Fixing What Works (March 31, 2016) was written in response to a request from the Urban Institute to contribute to its “Housing Finance Reform Incubator” project. The recommendation I gave in this piece was to build the secondary market finance system of the future around the entity-based model we know worked well in the past—with Fannie and Freddie at its center—but to make reforms to it in three key areas: putting “utility-like” limits on the returns Fannie and Freddie could earn; limiting their mortgage portfolios to a percentage of their outstanding credit guarantees and to purposes ancillary to the guaranty business, and having FHFA impose an updated, stress-based capital standard on the companies that requires them to hold sufficient capital, by product type and risk category, to survive a worst-case stress scenario defined by the government. I since have amplified on some of these recommendations, but not changed any of them. Solving the Wrong Problem (June 8, 2016) is my analysis of the other nine essays on single-family mortgage reform submitted for the “Reform Incubator” series. 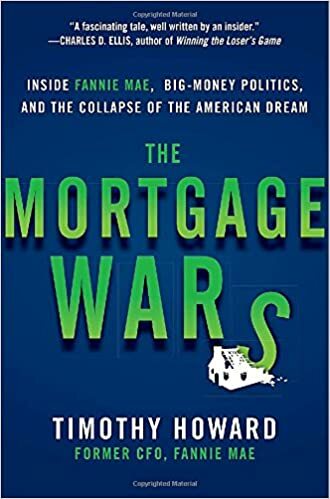 The majority of the essayists said, either explicitly or implicitly, that the goal of mortgage reform was to solve some type of incentive problem they claimed existed at Fannie and Freddie. I thought that was the wrong problem (the companies’ incentive structure was good enough for them to have had the best loan performance of any pre-crisis source of mortgage credit). Instead, the real problem—to which reformers have paid scant or no attention—is how to set capital standards that simultaneously protect the taxpayer and allow credit guarantors to price their mortgage guarantees affordably for as wide a range of borrowers as possible. Capital Considerations (June 23, 2016) followed “Solving the Wrong Problem” in sequence, and was my attempt to address the capital issue I claimed others had not treated adequately. This post was not as strong as it could have been, however; its numerical analysis of Fannie’s post-crisis credit losses was both too complex for the general reader and too simplified to have been technically accurate. Still, its main conclusion is valid: Fannie’s post-crisis loss experience makes clear that it as well as Freddie could withstand a future 25 percent nationwide decline in home prices with far less capital than their critics and opponents insist they hold. The FHFA Letters Decoded (July 11, 2016) was written after FHFA Director Mel Watt received three policy-oriented letters from trade groups and members of Congress in less than a month. My interpretation of this flurry of correspondence was that, because of developments in the lawsuits contesting the net worth sweep, policymakers were becoming concerned that FHFA might soon escape from its subservience to Treasury, and were seeking to influence any decisions FHFA might make independently. I also noted some obvious inconsistencies in the trade groups’ letters to FHFA, and called on the leaders of these groups to be more responsible and disciplined when formulating public positions on reform issues. FHFA Fails the Stress Test (August 19, 2016) was a response to misleading reports in the media of the results of the 2016 Dodd-Frank stress tests conducted on Fannie and Freddie by FHFA. The companies’ combined projected credit losses in this test were less than their projected revenues, meaning they “passed” it comfortably. But FHFA also added over $100 billion in non-cash expenses that were outside the scope of the Dodd-Frank test, to produce a headline loss figure of $126 billion (in support of Treasury’s contention that the companies were a “failed business model” that had to be replaced). The media universally reported on the inflated $126 billion loss, while this post addressed the results of the test more objectively and accurately. A Solution in Search of a Problem (September 9, 2016) stemmed from an Urban Institute article claiming that loans acquired by Fannie and Freddie from 2011 through the first half of 2015 were “squeaky clean” and “hardly defaulting at all.” That prompted me to ask, “if that’s the case, what is the mortgage market problem for which getting rid of Fannie and Freddie is the solution?” The rest of the post discusses the bizarre state of today’s mortgage reform debate, where advocates for a financial mechanism that benefits them (but not borrowers) try desperately to find (or more often invent) a problem they can claim their proposal solves. A Welcome Reset (December 12, 2016) circles back to my first post on this subject, Fixing What Works, which proposes an administrative solution to reform based on Fannie and Freddie. The statement by Treasury Secretary-designate Mnuchin that he wants to get the companies “out of government control… reasonably fast” significantly increased the odds that reform will be done through an administrative rather than a legislative process, involving negotiations with plaintiffs to settle the lawsuits against Treasury and FHFA. In this post I offer my advice to the participants in these negotiations: in determining what the post-settlement mortgage finance system should look like, “pick the best model, get the capital right, and be realistic about the role of government.” The post goes on to expand on each of these points. Finally, six of my posts this past year addressed credit risk transfer transactions, principally Fannie’s Connecticut Avenue Securities (CAS) issuances, but also others. Risk Sharing, or Not (March 9, 2016) was the first piece I wrote on the securitized risk-sharing programs Treasury and FHFA were requiring of Fannie (and Freddie). I made two criticisms of Fannie’s CAS in this post: Fannie was buying far more loss coverage than it needed, given the exceptionally high credit quality of the loans it was acquiring, and it was greatly overpaying for the insurance it bought. I noted that Fannie and Freddie had a natural advantage in taking mortgage credit risk because they could diversify it in ways that capital markets investors could not, therefore it rarely would be economic for the companies to buy insurance from those investors. The only reason Fannie and Freddie were regularly issuing risk-sharing securities, I said, was because Treasury and FHFA had made them mandatory. Far Less Than Meets the Eye (August 8, 2016) resulted from my having read some prospectuses for Fannie CAS transactions to find out more about how risk-sharing securities worked. Much to my surprise, I learned from Fannie’s own disclosures that its CAS risk-sharing tranches are deliberately engineered to avoid taking credit losses. This post is more technical than most, but it’s worth plowing through to understand how these securities are structured and why they’re so inefficient. It astounds me that Treasury (and FHFA) would force Fannie to issue “risk-transfer” securities that require hundreds of millions of dollars in interest payments and leave virtually all of the credit risk with the company, but that’s what they’ve done. Getting Real About Reform (October 25, 2016) is another hybrid piece, mainly about risk sharing but also about mortgage reform. It was prompted by a second reform proposal—this one by the Milken Institute, following the “Promising Road” from the Urban Institute—that relies on securitized risk sharing as a substitute for equity capital. In this post I label both proposals “theoretical fantasies.” Advocates for these ideas pretend that a dollar in face value of a risk-sharing security is equal to a dollar of upfront equity capital, when in fact it is worth less than one-tenth as much. When you substitute capital reality for capital fantasy, both the Milken Institute and the Urban Institute proposals implode, as did CDOs about a decade ago. Overall, I’m satisfied with the posts I’ve put up on the site during its first year. I’ve said much of what I wanted to say about Fannie, Freddie and the mortgage finance system, past and future. To avoid being repetitive, future posts may be more event-driven, possibly shorter, and perhaps even less frequent (if I don’t have something new or different to impart). But I’ll have the same goal for the site in the coming year as I had for its first one, and will seek to add as much value to the reform dialog as I can. Can Fairholme file BOTH an en-banc appeal AND a Supreme Court request – or are they only allowed to file one OR the other?? tim can you provide your thoughts on buffett saying this morning that fannie and freddie are flawed models and are not the only way we can have government sponsored 30 year mortgages? I listened to the clip. Buffet’s main criticism of Fannie and Freddie has to do with the ambiguity of their relationship with the government. I agree that needs to be clarified in reform (my proposal for doing so is through regulated returns, limits on the size of the companies’ portfolios, and tougher, risk-based capital standards). But Buffet did not criticize the economics of the Fannie/Freddie business model. He said he supported the 30-year mortgage, and thinks that for affordability reasons these loans should have some type of government guaranty. He did say he thought Fannie and Freddie should be replaced, but his ideas for alternatives to them were both vague and tentative (“something of the sort,” and “all that sort of thing” were the phrases he used.) That’s been a consistent theme with critics of Fannie and Freddie. For various reasons–whether ideology, politics, competitive advantage, or just the fact that everybody else is saying the same thing–people claim the companies can and should be replaced, but when it comes to specifying exactly how that should be done and why it would be better, they come up short. Buffet has a large stake in Wells Fargo. Not just a large stake. Berkshire H is the largest holder by far. And Wells would benefit more than any other entity from a GSE “reform” proposal that gives TBTF banks a new MBS taxpayers wrap. So look–he’s allowed to talk his book, that’s business. But it should be recognized for such. And to be clear–giving Wells such market power would harm small lenders in the US. Not to mention consumers, millions of whom were defrauded by 5000+ Wells employees creating fake accounts. That is what GSE are. GSE are private insurers under Gov sponsored program but tightly controlled and regulated by Gov. Private sector likes Gov sponsorship but what about Gov mandated social gaols and counter cyclical roles. Wasn’t he the largest shareholder of Freddie some 15 years ago? I don’t doubt his sincerity and honest comments regarding his feelings of “two masters” with the GSE’s but it seems like he is speaking out of both sides of his mouth given his history. I guess it was OK when Freddie was making him a ton of money. Also, several years ago as senior GSE execs–on what turned out to be an unwanted death defying secret plane trip (bad flying weather)–our blog host and Fannie CEO, Frank Raines flew to Omaha and convinced Buffett to make a $5 Billion capital investment in Fannie. Tim, I would be interested in getting additional thoughts on the write down of DTAs upon Tax Reform. If a Treasury draw does occur, does this open the door to pushing the twins into true receivership? What would be the macroeconomic impacts of such an occurrence and could this be an end around for Housing reform by wiping out the current equity structure and re-birthing them with a more Treasury favorable structure(not sure what could be more favorable than 79.9%)? Do you have any opinions on the economic risks they would need to consider before going down that road? I do not believe a draw from Treasury would cause FHFA (at Treasury’s direction) to put Fannie and Freddie into receivership (and it would make no sense to put one company in and not the other). I don’t think Mnuchin intends or wants to do that, and even if he did the simple reality is that as of now there is no workable alternative for replacing them. Receivership for Fannie and Freddie entails liquidating their assets. If they were to stop guaranteeing mortgage-backed securities, where would the financing for $600-$700 billion of fixed-rate mortgages per year come from? Mnuchin says he has an idea for mortgage reform, and based on what I’ve heard him say in various places, I believe that idea incorporates Fannie and Freddie. But whether it does or not, I don’t think we have to worry about receivership for the companies being suddenly sprung on us. There would have to be some alternative proposed first, as well as a transition plan to get from where we are now–with the major role played by Fannie and Freddie–to that alternative. Thanks for the quick reply Tim, I am always pleasantly surprised by your thoughtful answers. Thank you for continuing to take your time to foster this rag tag community. I guess we’ll see what happens with Tax Reform / DTA’s moving forward. Should be an interesting few months ahead of us. Hey Tim , are you planning to post a new article anytime soon? I’m working on a piece focused on Fannie’s deferred tax assets (and tax reform). If I can make it both germane and understandable, it should be out in the next few days. The central economic goal of Donald Trump’s administration will be to boost U.S. economic growth. Steven Mnuchin, Trump’s nominee for treasury secretary, has said that the administration’s objective is to raise the rate of GDP growth to three to four percent, doubling the rate achieved over the last decade. This will be accomplished by establishing a globally competitive corporate tax rate, adopting a territorial corporate tax system, reducing excessive regulation, boosting domestic energy production, and introducing better trade policies. Not a word on Fannie. But he does mention overregulation: “Regulators have been fighting one another about who has authority over the area, with each regulator imposing its own layer of often conflicting regulations. The result has been an almost total halt in private mortgage securitizations, which have fallen by 99 percent from their 2005 peak of over $1 trillion in annual issuance. This near freeze has deprived a huge segment of Americans of mortgage financing”. Clearly supporting private mortgage securitizations. This seems like a good time (perhaps a little late, since I was traveling last week) to remind readers of the purpose and function of this site. My purpose in starting it last year was to create a source of factual information about issues related to Fannie Mae, Freddie Mac, and mortgage reform. My intent was to provide that information in two ways: through periodic posts and through responses to comments and questions from readers. By design, the site was not set up to be a “message board,” for people to post information or express views on issues of interest to them; there are other sites that serve that purpose. Also, because I maintain the site on a part-time, pro bono basis, I do not feel a need to respond to every question that gets asked on it; I prefer instead to respond when I think a question has substantive merit, brings out new information, or has an answer I feel might be relevant or of interest to a broad group of readers. In the wake of the surprising ruling by the DC District Court of Appeals on Tuesday, there has been a surge in the number of comments that fall outside the bounds of what I normally accept or respond to. I recognize that many readers– particularly those with significant investments in Fannie or Freddie–are uneasy about this ruling and uncertain about what it means for the fates of the companies. I’ve offered my analysis of that: it’s clearly a setback, and one which delays and complicates the ultimate resolution of the status of Fannie and Freddie, but I retain my confidence in the likelihood that the companies WILL be reformed, recapitalized and released from conservatorship, rather than liquidated and replaced. At this point there’s not much I can say beyond that. Mnuchin has said that he has pushed off dealing with Fannie and Freddie until after he tackles tax reform (which, given the appellate ruling, I think is the right call). I don’t know when or how he might reengage; it will depend largely on developments that occur in the coming weeks or months, which I’m not going to try to speculate about. So– after this brief period of leniency on the sorts of comments I accept (and respond to)–I will be returning to my previous policy of using the delete button (or not pushing the “approve” button) to try to get the site back to what I originally envisioned it to be. I appreciate your understanding on this. In your excellent book (I really enjoyed reading it) you describe how in the ’90 Fannie management tried to come up with plans to operate without the Gov implicit guarantee and concluded that it was not possible. Now that was when Fannie had a big mortgage-holdings business. Do you think it would be feasible for the current insurance-only business to viably operate without the Gov guarantee? Yes, and I discuss this in a post I did in December called “A Welcome Reset,” which I suggest you take a look at. (But you’ll also see that I say it would be better public policy for the government to set up some formal backstop arrangement for the reformed Fannie and Freddie, which would lower the yield on their mortgage-backed securities, to the benefit of homebuyers). Good points. Tim please comment on this when you can. Thank you. the mandate herein until seven days after disposition of any timely petition for rehearing or petition for rehearing en banc. Judge Ginsburg thinks that a firefighter could steal jewelry from the house he helped to save because he risked his life. Hi Tim, Do you think this new class of credit insurance risk transfers are endorsed by the new administration or are they just holdovers from the previous mandates? Do you think this could be a plausable way to wind down and/or diminish the business of FnF and hurt existing shareholders going forward? Fannie’s Credit Insurance Risk Transfer (CIRT) program is not new; it’s been around since 2014. What Fannie says is new now is that they’ve locked in their pricing for all of the CIRT deals they’ll do in 2017 (although it doesn’t say what that pricing is; that’s negotiated between the company and the insurer, and not disclosed). Compared with Fannie’s Connecticut Avenue Securities (CAS) “risk transfer” program (I put “risk transfer” in quotes because CAS transfer very little actual credit risk), CIRT is a better program, because it actually WILL transfer credit losses, to a real insurance company or a reinsurer, once Fannie’s losses exceed 0.5 percent of the reference pool of mortgages the CIRT is insuring. Still, I suspect that CIRT deals are not economic for Fannie Mae, because Fannie is buying insurance on pools of very high-quality mortgages whose lifetime default rates–based on the experience of Fannie loans between 1999 and 2003, which weren’t as good as the company’s current books–are unlikely to exceed the 0.5 percent loss rate at which CIRT coverage kicks in. Yet I can’t say how uneconomic the CIRT deals might be, for the reason I gave in the first paragraph: Fannie doesn’t tell us what it’s paying the insurance company (or reinsurers) for the coverage it’s buying. So, yes, CIRT deals probably do waste shareholder resources, but not as badly as CAS deals do. And CIRT is a much smaller program–to date, only about one-fifth the size of CAS–so it’s doing much less damage. I found this posted on another board and I haven’t seen any answer. Just wondering if you have any thoughts, opinion or comments on his question. Thanks in advance. The following is his posted question. 1) Mnuchin once again expressed that conservatorship is not the answer. Together with previous comments that a) he doesn’t want taxpayers at risk and b) he wants to preserve the 30 year mortgage, it’s obvious that he wants privately owned solution. 2) So the question is, will he do this by a) bringing in new capital and screwing over current shareholders, or b) by returning the companies to their current shareholders? -IMO (a) is much harder, because he’d have to deal with the existing shareholders simultaneously. And how exactly would this work? Would he have to wind them down first, and then sponsor new companies, bring in new private capital? Is there any reasonable way for them to transfer the assets and obligations of FNMA/FMCC to a new private sector company with new shareholder capital? I’m not an expert here but I feel it would a total mess while also having to deal with the legal battles. And let’s not forget that the clock is winding down and these companies will need a new Treasury draw at any moment. -(b) is the more practical solution. Yes it rewards hedge funds, but it’s the quickest solution. Put an end to the legal battles, NWS, recap, privatize, not have to worry about future capital shortfalls. He has expressed several times that he wants the quickest possible solution. Not only does he want it, but it’s better politically given the almost zero equity left, as well as the lawsuits. And this also brings in huge warrant profits for Trump to spend – wind down doesn’t do that. He could of course recap them and make them public utilities and have the Govt reap the profits year after year, but that wouldn’t be consistent with 1) not putting taxpayers at risk, 2) taking the huge political and financial windfall from the warrants. I think Trump would rather have 79.9% of the equity minus jr. preferred up front rather than have 100% of the net income for 4 (ok maybe 8 ) years. Mnuchin’s plan is likely not much different from Howard’s. He may face resistance from Corker, Hensarling, Warner, and one or two more. The fight is about taxpayer’s risk, at least on surface. Other politicians do not have a strong and different opinion. I remember that Conway said in an interview that Rep had reached a consensus to recap FnF. I commented on TimHoward717: No surprise that Shelby asked CBO to write a paper on Recap of GSEs. The diff between (a) and (b) for the Gov is that in (a) they start out owning 100% of the companies before re-cap dilution vs 80% in (b). So in theory can net more $$ for themselves in the recap. But it just doesn’t sound like a big diff given the continued and strengthened lawsuits they would have to face in (a). One of the reasons in Lamberth’s decision to dismiss, for example, was that no actual “taking” has yet occurred by the Gov. Well, (a) would be such explicit taking. Also in (a) the Gov has to face a risk of getting a much lower multiple for the recapitalization shares given that a complete wipeout of previous shareholders in a profitable enterprise will still be the front-page news for the new ones. Almost certainly any new pfd shareholders will demand much higher interest rates. So Mnuchin will face a real prospect of getting less money out of (a) than out of (b) after all. And the lawsuits stay. Why would he, based on his self interest, chose a silly path like (a)? No question that Tuesday’s ruling was huge let down, but what do you think the next step will be for Perry case? I saw Rosner tweeted that en banc is the next step. In your opinion, is there merit appealing this en banc instead of putting it to the Supreme Court? Is it a fast time line? I am really hoping a quicker decision here would arm Mnuchin with the necessary ammunition to carry out the reform. Also do you think we will see any significant movements in other court cases especially the ones in Sweeney’s court or the one in Delaware? one final point about collins’ unconstitutional delegation of executive authority argument. if the court were to agree on the merits, and if (a big if) the court believed that it could not remedy by making the fhfa director removable at will by potus because HERA does not contain a severability clause (which courts usually look to before they “cure” statutes), then the NWS and the warrants arguably could be voided. so collins is your replacement for the dormant washington federal case. i just wanted to make you aware (and your vast coterie of blog admirers) that there is an interesting case in federal district court, southern district of texas, brought by a plaintiff named collins. collins is making all of the arguments made by perry, but also the additional argument that HERA is unconstitutional because by establishing the fhfa director as a single agency director not removable at will by potus, HERA made an unconstitutional delegation of executive authority. the dc circuit court found this in the PHH case, for which en banc review by the entire dc circuit court has been granted. so the merits panel decision holding the cfpb director could not exercise his authority unless he could be removed at will by potus is vacated, pending decision by the full appeals court. now, the dc circuit court did not void dodd frank as unconstitutional, but merely rewrote the statute to make it constiutional, in effect, by making the cfpb director removable at will by potus. the court believed it was authorized to do this because there is a severability clause in the statute. however, there is no severability clause in HERA. now, this is a robin which does not make a spring, but this may divert one’s attention from the miasma that is the perry decision. One of the commenters did mention the Collins case, but did not describe it or highlight its relevance as clearly as you have. I appreciate your doing that. And, yes, it is another burst of sunshine to help remove the gloom of Tuesday’s ruling. For me, though, the main import of the DC Court of Appeals opinion wasn’t so much to change the odds of the eventual outcome (although it did that at least to some degree) as to push everything out further in time. Mnuchin reinforced this in his comments on Fox Business this morning. Following his appointment as Treasury Secretary-designate, and his comments about dealing with the Fannie and Freddie issue “reasonably fast,” I was hoping he might be able to pull off a quick strike that would set the companies’ opponents back on their heels. That’s now not going to happen. If we do get to the right outcome, which I still think we will, it will be through more of a “grind it out” slog, with a good deal of kicking and screaming along the way from those who don’t get what they want. Mnuchin said something like “hope for bipartisan support, but”. He did not continue. I thought he wanted to say, he would press ahead even if no bipartisan support. He absolutely has had an idea in his mind. I believe Mnuchin intentionally mentioned Rep. Hensarling & FHFA Director Watt in both CNBC & FOX Business News interviews, signaling that he is reaching out the “right” people in resolving the GSEs reforms. All the Wallisons, Parrotts in the world would not have the political authority to affect the outcome. One major advantage of Mnuchin in charge now is that nobody could fault him inexperienced in housing mortgage finance. Of his near 30 years in the business, he saw and benefitted first-hand from the GSEs which have been tried and true over booms and busts. ROLG can you please explain what got remanded to Lamberth court? and who has the right to a trial there? if any? There is a lot of misunderstanding out there. Why investors united web site says that the right of shareholders to sue has been recognized? For the claims that survive and are remanded back to the lower court, which appear to be dividend rights and liquidation rights, what kind of monetary damages would be awarded if plaintiffs win on those claims? As long as legal interpretation (including that of HERA) does no violate constitution, everything is ok. Here defendants and Judges are interpreting the clause narrowly under the context of HERA but not under the broader context of constitution. It is confounding considering that it is coming from second highest federal court. The plaintiff could argue that CONSERVATORSHIP is not even pronounced as the “conservatorship” you would found in any dictionary. As a matter of facts, many verbs in the law mean differently than in all dictionaries too. Tim – there is a lot of confusion about whether or not Mnuchin has the ability to halt the NWS. I’ve read that he can and I’ve read that he canNOT. The argument against him being able to halt the NWS is that he cannot do so without simultaneously voiding the SPSPA. Because of the ruling on Tuesday it would seem darn near impossible for him to justify voiding the SPSPA agreement without legislative permission. If you could please clear up this issue around what Mnuchin can and can’t do (and the associated timing) when it comes to the halting or canceling the NWS I would appreciate it. There is no language (that I’ve been able to detect) in the text authorizing the Third Amendment that says halting the net worth sweep would void the Senior Preferred Stock Purchase Agreement. I believe Mnuchin has the ability and authority to cancel the net worth sweep, as well as to amend it with a Fourth Amendment. I doubt he will take any action with respect to the sweep, however, until he has formulated his “solution” for Fannie and Freddie, and arguably not until he has vetted that solution with key members of Congress. As he mentioned on Fox Business this morning, the timetable for any action on the companies has been pushed back closer to the end of the year, so that in my view makes any near-term amendment or cancellation of the sweep unlikely. I also think it significantly lowers the odds that the companies will be allowed to forego their March sweep payment to Treasury. Tim – Why would Mnuchin want to allow the NWS draw now if he knows the DTA writedown will force the Treasury to put it back in August and with drama attached? You don’t mean the NWS “draw;” you mean the net worth sweep payment. And it’s not that Mnuchin would “allow” this payment–it’s already scheduled to be made. He would have to take an affirmative step to allow Fannie and Freddie NOT to make it. Previously I thought he might do that, but the fact that the DC Court of Appeals upheld Judge Lamberth’s ruling that plaintiffs’ claims against Treasury and FHFA for arbitrary and capricious conduct were barred by statute (an interpretation I do not agree with) makes this much harder for him, and I think he’ll not intervene. With the appellate court ruling, the net worth sweep, for the moment, IS legal; the sweep payments belong to Treasury, so what could Mnuchin’s public rationale be for turning $10 billion back to the companies? He may still, but that’s not how I would bet. Tim – I agree with your assessment around it being politically difficult for Treasury to turn away $10b after this weeks court ruling. The case many shareholders are making is that because of the pending DTA impairment the GSEs need to begin retaining capital now to cover these future losses and avoid another draw from Treasury. I believe that is wishful thinking because no one knows yet what the exact tax reform will be and the timing of when it will be enacted (we only know Mnuchin hopes to have it completed by the August recess). That said, if Mnuchin is successful in reducing the Corporate Tax rate to his targeted 15% rate and it does occur in Q3 what would be the total impairment to Fannie’s DTA’s? If Fannie began retaining it’s earnings now would this cover the projected impairment? I think it halting the NWS now would not cover the impairment then the chances of him doing so with the March payment are slim to none. Insights to the above questions would be greatly appreciated. At December 31, 2016 Fannie had $33.5 billion in net deferred tax assets (DTAs), while Freddie had $15.8 billion. A cut in the corporate tax rate from 35% to 25% would result in a pre-tax DTA write-off of $9.6 billion for Fannie ($6.2 billion after-tax), and a $4.5 billion pre-tax write off for Freddie ($2.9 after-tax). Freddie’s scheduled $4.5 billion (after-tax) March sweep payment would be enough cover a DTA write-down if the corporate tax rate falls to 25%; Fannie’s scheduled $5.5 billion payment would fall a little short of covering theirs. Were the corporate tax rate to fall to 15% (which I don’t think is likely), Fannie’s DTA write-off would be $19.1 billion pre tax, and $12.4 billion after tax; Freddie’s would be $9.0 billion pre-tax and $5.9 billion after tax. Neither company’s scheduled March sweep payment would be enough to cover write-offs of this size. From WSJ: Ackerman’s Take: Tax Overhaul May Trigger Another Fannie, Freddie Infusion. The new SoT wanted to propose new tax plan before August, will they do somethings on GSEs to avoid this problem? Tim, if the scheduled June payment was retained by the GSE’s as well that should cover their write-down if tax reform was done in August, correct ? It should, yes. But the original question was whether Mnuchin would allow Fannie and Freddie to forego the March (and possibly June) sweep payment(s) in order to build up capital as a buffer against the effects of a cut in the corporate tax rate. Because of Tuesday’s appellate court ruling, in which a majority opined that the net worth sweep was within FHFA’s statutory authority to impose, I now think it would be very difficult politically for him to do that–he’d be giving away what a court has just said is the government’s money. I think he’ll avoid stepping into that crossfire, and wait until he has a definite plan for the companies before announcing how he intends to achieve it. Tim, pardon my ignorance, but if the June & March payments would cover their write down for the potential Aug tax reform, how is the legality of the NWS relevant? Legal or not, if suspension of the payments serve to avoid a draw from the Treasury wouldn’t it still make sense to do it? Yes, it has just been ruled that those payments are the gov’s money, but if forgoing payment now avoids the inevitable draw a few months down the road, why make it? That’s like the government saying “we’re entitled to your profits and we’re going to take it — all the while knowing we’ll need it back in a few months.” Sounds to me like they’re causing a problem they could completely avoid. This could be horrific oversimplification. But I for the life of me can’t wrap my head around their argument. They say F&F is this terrible risk to the tax payer because they could cause a draw from the Treasury and the best way to a avoid that is to have a capital buffer, of which they relinquish each quarter to the NWS. They are quite literally causing the problem that is suppose to scare us the most. How does congress not see this? I guarantee each individual there is exponentially more intelligent than myself. It may seem nonsensical to you (and many others), but senior officials at Treasury WANT Fannie and Freddie to have to take a draw. The Obama administration Treasury set the parameters of the net worth sweep—with the companies’ capital cushions falling to zero at the beginning of next year—precisely because it wanted to create a situation under which a draw could be triggered by volatility in one or both companies’ book accounting results. Critics (including at Treasury) then could call that draw another “bailout,” and use it to prod Congress to replace Fannie and Freddie with a mechanism more to their liking. For the companies’ institutional opponents at Treasury, a draw based on a DTA write-down will do just as well as a draw for any other reason. Moreover, compared with allowing the companies to forego their March and June sweep payments, a DTA-related draw benefits Treasury by adding to its liquidation preference, since all draws of senior preferred stock are non-repayable. That’s the situation Mnuchin has inherited, and the opinion by the DC Court of Appeals that the imposition of the net worth sweep was within FHFA’s statutory authority left that status quo intact. So as much as it might seem to make sense for Mnuchin to allow Fannie and Freddie not to make their March and June sweep payments, I believe he won’t want to risk the negative political reaction that likely would ensue, and potentially jeopardize his ability to bring the companies out of conservatorship later on, pursuant to a plan which he could articulate and defend. Good morning Tim,are you aware of any other sources of funds available to FnF to cover the DTA writedown other than the Senior Preferred Stock Purchase Agreement ? Yes, and I’m planning to address that in a post I’ll be putting up in the next day or two. Watched Mnuchin’s interviews this morning. I think Tim’s right, in that, Mnuchin feels things are much more difficult now (politically speaking) following Tuesday’s ruling. I almost feel like he’s punting things back to the courts as a result…. Point being… I’m very optimistic. If Mnuchin came out today and said that he was planning to take action in 1/2 weeks, we’d be taking action in a time when we’ve lost our leverage. But, time is on our side on this one. I’m confident we’ll see the 11,000 docs by the end of the year, and I’m certain there’s at least one comment in those emails that ask the question ‘What about shareholder rights?’, which will ultimately be the damning evidence in any court case…On top of that, Tuesday’s ruling was extremely weak. 100% ripe for full repeal in a constitutionalist court. So its my thought, that as the court cases continue to advance, the treasury will have the political winds to their back once again and the power to make the right decision. In the meantime, don’t be surprised to see F&F continue down the same path, and for the treasury to continue to receive their payments… Unfortunately. Re: DTA- Suppose a tax cut is passed, but doesn’t go into effect till 2018, would that effect the DTA? One of the questions during today’s CNBC interview was around tax cuts going into effect retroactively post legislation (1/12017), or 1/1/2018. Mnuchin didn’t comment either way. As I recall, the last financial report stated the DTA as a risk if tax rates decrease, and that FNMA would need to record a reduction in DTA ‘in the quarter that the legislation is enacted’, potentially requiring a treasury draw to pay corporate taxes for the quarter. Fannie was very clear about this in its 2016 10K: “We adjust deferred tax assets and liabilities for the effects of changes in tax laws and rates in the period of enactment.” So if tax reform were to be passed in the third quarter of 2017, Fannie would write down its then-current net DTA in that quarter to reflect the new, lower, corporate tax rate. How can pushing it out to Q4 be perceived as a positive when the capital will be down to virtually nothing unless he stops the NWS. The litigation has been pathetic in terms of timeline so I see no reason why it moves any faster at this point. Pushing the resolution of Fannie and Freddie out to the end of the year, following efforts on tax reform, is probably Mnuchin’s best option at this point, given Tuesday’s appellate court ruling. As for the deferred tax assets, I agree this is something both companies should attempt to address as soon as possible. I’ll have some thoughts on that (and other earnings-related topics) in the next blog post I do, hopefully early next week. Overall I didn’t felt like he changed his thoughts of what he said back in november 30. He literally said “We’ll make sure that when they’re restructured they’re absolutely safe and they don’t get taken over again, but we got to get them out of government control”. But how does he manage to do that and take away the billions of the DTAs BEFORE restructuring them, beats my imagination. So far, the only thing I can conceive of, is a quick change in the NWS agreement, before legislation is passed. If that doesn’t happen, both companies are at grave danger indeed. Changing the net worth sweep won’t affect the value of Fannie’s or Freddie’s DTAs; the two are completely separate issues. The size and value of the companies’ DTAs are primarily a function of the accounting policies they’ve chosen to adopt. Treasury has no direct influence over that. I understand that, Tim. But how on earth does he “keep them safe” if he allows another significant draw because of the DTA and tax changes? Doesn’t that seem contradictory? Any further appeal MUST MUST MUST attack the following false statement DIRECTLY. I view it as the MOST important thing in an appeal. And in any suit not yet closed. Honestly, we would very likely lose Supreme Court appeal if we cannot convince judges the statement is false. Although some judges would not admit it, the $200B or $180B “aid” was the most important factor in their decisions. The majority decision by Millett and Ginsburg turned on their (in my view badly flawed) reading of the statute and application of prior case law, not on the facts. And Brown cited a number of false facts and still came to the right legal interpretation. Still, in their (likely) appeal to the Supreme Court, I would certainly expect plaintiffs counsel to make it a point to correct the factual record. It’s also important to realize that Fannie and Freddie’s opponents, with the aid of the media, have been able to disseminate their false version of the causes of the financial crisis and the nature of Treasury’s response (as a rescue and not an illegal takeover) widely and virtually without challenge or correction for over eight years. Yes, Millett, Ginsburg and Brown saw a few of the documents produced in discovery in the Court of Claims case, but it’s unrealistic to expect that those documents would have caused them to do a 180 on their prior understanding of what had happened with the companies–particularly in the case of the majority, for whom the false version made their legal interpretation seem more reasonable. The facts are the primary focus in the regulatory takings case in the Court of Federal Claims, and there Judge Sweeney has had three years to review the documents and to make judgements as to which version of the Fannie and Freddie takeover has merit. I believe there is much less danger of her misinterpreting the historical record than for three appellate court judges, with much more prior exposure to the wrong story, to have done it. Even though all these Judges rule that facts and motives are not relevant in this case, they extensively use false facts and false motives (disseminated by the defendants) as proper context for their decisions. ain’t it grand – have your cake and eat it too as long as it gets you to the conclusion you’re trying to justify. Disgraceful top to bottom and dangerous for the broader market implications which Brown hit and the majority glazed over.. really just a pathetic and cowardly ruling but why expect any less in a banana republic? Mnuchin on CNBC said tax reforms his top priority and plans to get reforms passed by August. He also mentioned that he just met Watt and Hensarling about GSEs reforms. A great sign! Plaintiffs are barking up the wrong tree. That is what Judge Lamberth pointed even though not completely correct in his ruling. Defendants and HERA are in clear violation of many Constitutional laws. It appears Plaintiffs can overcome HERA’s jurisdictional bar only through aiming at Constitutional laws. What is your view on this and how will it affect Delaware law suits.? As we have just concluded, however, the Recovery Act evinces the Congress’s intention to “place” the FHFA “in the shoes” of the Companies which become wards of the Government. The Companies therefore remain subject to suit as private corporations for violations of state law just as they were before the FHFA was appointed conservator. Tim, the current administration has 11,000 sealed documents in their possession. Do you think they will use these docs to provide the legal and political cover needed to reform, recap, and release? That certainly is a possibility. At a minimum, I would not expect the Mnuchin Treasury to maintain the same shroud of secrecy around these documents as the Obama Treasury did. I strongly think that Judge Ginsburg should have excused himself from the judge panel for that he had serious interest in GSE reform. His opinion on the appeal would undoubtedly affect the future of GSEs. This is another type of conflict of interest. Mr. Bert Ely, Ely & Company, Inc. There is no doubt that Ginsburg is a friend of Wallinson , Pollock and others in the American Enterprise Institute. The problem is those guys may be accessories in the NWS because of their cooperation to implement it. Don’t forget that they were in close touch with Jim Parrot and they are the infamous “Fellow Travelers” named in an email that was part of discovery and that shows the clear intention of illegal wind down of FnF. So now we come across that Ginsburg may have, at least, a conflict of “friendship” with persons that would have been summoned in the eventual trial and who may have been instigators of the NWS. Wonder if Charles Cooper knows about it. Readers should note, though, that the event cited above took place more than eight years ago. another thought as to why Mr. Ginsberg flipped sides is that at time of the oral arguments Clinton was the favorite and likely he would favor going against her maintaining the sweep. But it is possible , he could be even more so anti-Trump, and when the Trump team with their agenda was put together , he flipped sides in greater support of his Wallison friendship. An en banc review , I think , is definitely warranted. One should add, Wallison served as WH counsel during the Reagan administration. Ginsburg was appointed by Reagan. Wonder if Ginsburg owns some favor to Wallison. It should be easy to find out if Wallison as WH council recommended Ginsburg appointment …just saying. At least it is clear that they know each other since long ago and also is clear that Wallison , being one of the “Fellow Travelers” influenced the NWS and was kept updated by Jim Parrott . Peter Wallison White House Counsel to President Ronald Reagan during 1986–1987. Tim, don’t know if it has been mentioned on here but Mnuchin is going to be on CNBC tomorrow morning at 7am. He is bound to get a question on Fannie and Freddie. You think he will tip his hand one way or another or keep it neutral kind of like his hearing? Tim, does yesterday’s decision affirm the rights of Washington Federal to bring their suit? Some former judge (a neighbor) told me that WF is the suit impossible to dismiss , plus with all the discovery exposed documents it is clear that FHFA acted directed by Tsy . So he thinks that there is no way out for the government but to settle with those plaintiffs – a negotiation that may benefit everybody? I don’t know that the Washington Federal suit is “impossible to dismiss.” It was filed in Judge Sweeney’s Court of Federal Claims, and has been stayed pending discovery and the filing of motions in the Fairholme case. I’ve been told–and have no reason to doubt–that the Washington Federal case was filed by a lawyer who took the case on contingency, and therefore is unlikely to litigate it to its conclusion. That’s why I’ve argued that one of the well funded plaintiffs may want to offer to finance the case as it proceeds, if for no other reason that to give it more credibility and leverage in settlement negotiations. Tim, how much political cover does current administration really need when it appears that there are absolutely no rules to conservatorship? After all, Millett and Ginsburg decided that current administration can do whatever it wants, right? If Congress objects, Administration can point to HERA and this court decision as giving them absolute power. Blood is on Congress’s hands for giving Administration unchecked power. Yesterday’s ruling–however unwelcome and unexpected–was just one ruling by one court. I would caution against drawing any absolute conclusions from it. The DC Court of Appeals ruling very likely will be appealed to the Supreme Court, and the net worth sweep is still being litigated in Judge Sweeney’s Court of Federal Claims and in the Delaware District Court. I believe yesterday’s ruling was very weak legally, and I for one do not expect it to be the last word on this issue. And do not forget the Collins case in TX that challenges the acts of FHFA as an unconstitutional entity. Appeals court ruled that FHFA Director has unchecked broad powers that no courts can review. Is this not text book case example of unconstitutional authority? Does not it also mean that this ruling can be used to prove that FHFA Director is an unconstitutional authority and empowering HERA provisions are also unconstitutional? Surely Collins case in TX can supplement its summary judgment filing. With the ruling that plaintiff’s cases are ripe judicial review, Gov can not perpetuate the unconscionable proxy control of private shareholder companies through conservatorship. Gov has to decide one or the other way and end the conservatorship. What corroborates the taking was intentional is the refusal to stop it. At best, our law makers are opportunists who don’t mind benefiting from their alleged innocent provision for future profits. Tim , I remember that last year a Judge excused himself because the wife had only 16 shares of Fannie . How is it possible that Ginsburg took the case where he has been participating before in ideological meetings about FnF ? He has been the chair of those meetings. His ideological bias may have influenced his vote. He’s a swamp thing, just like most. Interesting. Do you have a link to one of these fnf meetings where Ginsburg was an influence? Tim – as you have pointed out Mnuchin can still correct this but yesterdays ruling makes it much harder and complicated because he has lost most of the leverage and air cover the lawsuits would have provided him, from attacks he will receive by both sides of the isle. Based upon Mnuchin and Gary Cohn’s comments I believe its safe to say that housing is a high priority for the Administration, and this appears to be shareholders best hope right now for a Reform, Recap, and Release of FnF. That said, I think the current Shareholder community needs to consider how Mnuchin could stay true to his word but in a way that does NOT benefit existing shareholders (for example, the Johnson & Corker proposal). What in your opinion are the limiting factors to reforming FnF in such a way that the existing shareholders are left with a worthless asset? As always, your opinions and insights are greatly appreciated. Mnuchin probably now realizes that when he made his pledge to “get [Fannie and Freddie] out of the government…reasonably fast” he grabbed a tiger by the tail. As I believe he knows, the right solution to the unsustainable status quo of a “non-conserving conservatorship” for the companies is to make a few simple reforms to them (along the lines I’ve suggested in “Fixing What Works” and elsewhere) and then to release and recapitalize them. But there is intense political opposition to that from the large banks and their allies in Congress. A decision by the DC Court of Appeals remanding the Perry Capital case to the lower court would have given him a compelling reason to negotiate a quick settlement of the suits that included a proposal for how to restructure and recapitalize them. Now he has neither the “forcing event” nor the consequent excuse for urgency. Yet he has made a public commitment to tackling this problem, and he knows what the right thing to do is. I don’t think he’ll endorse something like Corker-Warner as a safe way out–as much as the banks might wish him to–because I think he knows it won’t work, and that he would be blamed for its failure. And he still has to deal with the plaintiffs in the lawsuits. After having given a good deal of thought to yesterday’s appellate ruling, I’ve come to the reluctant (reluctant because it does not reflect well on our judicial system) conclusion that Judge Ginsburg switched sides on this issue for political rather than judicial reasons. I have three reasons for thinking that. The first is the weakness of the legal argument made by the majority (Millett and Ginsburg) compared with the argument made by Judge Brown. Second is the fact that, based on my reading of the April 2016 transcript, Ginsburg started on the right side of the argument but by yesterday ended up on the wrong side. The third reason–which I only learned of yesterday–is the connection Ginsburg apparently has with individuals and institutions that historically have passionately opposed Fannie and Freddie. (A tip-off to the access people with this point of view had to the judges was that even the one who ruled in favor of the companies, Janice Rogers Brown, cited the made-up AEI figures for Fannie and Freddie’s alleged holdings of subprime mortgages in her historical summary; she didn’t find that non-fact herself– it found her.) As other commenters on this site have said, yesterday’s majority decision read like it started with a conclusion, then used the best (although still not very good) legal arguments available to justify it. With the DC District Court of Appeals ruling, the focus now shifts to Judge Sweeney’s Court of Federal Claims, where the same net worth sweep that Judges Millett and Ginsburg opined was legal under their interpretation of the law is being contested as a regulatory taking. Judge Sweeney already has concluded in this case that the facts matter, and the facts do not support the government. And we still have the case in Delaware, that maintains the net worth sweep is illegal under Delaware State law, as well as a likely appeal of the DC Court of Appeals decision to the Supreme Court. So Mnuchin can’t ignore the lawsuits in whatever he decides to do on mortgage reform. I also don’t see why he would feel any need NOT to benefit existing shareholders with what he does. The reason the big banks haven’t succeeded with legislative mortgage reform in eight years is that they insist on staying as far away as possible from anything that looks like Fannie and Freddie. But Fannie and Freddie have, by far, most effective and efficient secondary market credit guaranty model. Mnuchin knows that, and if you’re going to do something LIKE Fannie and Freddie, it’s folly not to start with the two companies that already exist. That’s the dilemma Mnuchin now finds himself dealing with. He knows where he wants to go, but he has powerful forces telling him he shouldn’t try to go there, and now he’s got the legal winds in his face rather than at his back. It will be very interesting to see how he responds to these circumstances. Thank you for the thoughtful response. Much appreciated. I believe he has Trump’s strong support on GSEs. No doubt. The current admin is no friend of either aisle of congress. Their opinions do not matter. An intelligent man, Mnuchin will get it done. These people are not weak hearted people. Political Power, laws, righteousness, real experts and all the facts are in favor of FnF. Just curious… Would anyone care to summarize/explain the Corker-Warner bill? It is basically wind down FnF without compensating FnF shareholders and then give FnF business to financial establishment for free along with free 100% Gov explicit guarantees. They think this is the best way to protect taxpayers from FnF and FnF shareholders. ROLG – your thoughts on the below would be appreciated. 1. Can a request for an En Banc review of yesterdays ruling be made, and if yes, when would that be requested? 2. When would a request for this to be put in front of the SCOTUS be made? 3. Can the case be simultaneously Remanded back to Lamberth and a request for this to be put in front of SCOTUS occur? 4. What are your thoughts on the courts comments about the Remand for Damages and the guidance to treat shareholders differently depending upon the timing of the purchase of their shares? 1. How long can the discovery process take place? 2. What is the most likely timeframe of events for this case? Just saw your post below, ROLG. Please feel free to elaborate here if I raised anything else not addressed in your response below. I just read the entire 103 page opinion. I am shocked that millet but especially ginsburg took the stance they did. The majority opinion has seriously eroded investor confidence and I don’t know what induced ginsburg to sway to the wrong side but his legacy is now seriously tarnished. However, The Honorable Judge Brown did a superb job in defending plaintiffs position and the rule of law. Honorable Judge Brown should be the next one to be nominated to the Supreme Court. Basically it was legal, political and ideological compromise ruling, very conveniently wrapped in legal verbiage. Probably by design, they started with end results in mind and then reverse engineered the ruling. Court cleared FHFA/Tsy with any wrong doing allowing FHFA/Tsy to continue to do what ever they are doing. Then remanded the case to lowers court for direct claims related to Contract Rights of shareholders. In essence court gave both the parties what they wanted in part and denied in part making it easy as well as compelling for both the parties to settle the case. It has huge implication on FDIC cases and all other government involved financial cases. The decision basically said a lease can mean slave agreement, a stock can mean a bond, a chick can be called a duck, a vice president can fire his boss, etc. Additionally, don’t trust Congress, nor government, nor the judges. Banana Republic? Communist system? Congress writes a law to let an agency have unlimited power and allows no judicial review. The agency does things arbitrary, The judges don’t see any problem with that. Is this a country you want to live? Mr Ginsburg wants to live? If one reads Judge Brown’s very well reasoned and well balanced opinion, one has to wonder what motivated others to come up with such a opinion that works very well in banana republic but not in a constitutional one. The majority opinion was written despite being aware of wide ranging adverse implications of such a opinion. Although i disagree with majority opinion, they shouldn’t try to make or alter law from the bench. Their mistake was in the wooden manner in which they interpreted the law. I’ve read the decision. Brown wrote like a Justice, the other two …. Judge Brown wrote like real Justice, the other two wrote like attorneys for the defendants. So assuming this case goes to the Supreme Court, how long does it take to resolve once filed? Is this a 1-2 year process, or longer? If the Supreme Court process takes years, don’t the GSEs need a resolution much sooner if they are to be safe and sound by traditional capitalization means? Were this ruling to be appealed–and were the Supreme Court to agree to hear it–the case likely would be argued during the next session beginning in October of this year, and be decided before the end of the term in June 2018. Legally, I feel Perry should pursue both the SCOTUS and the claims at the lower court. The former is to challenge appellate court’s ruling on HERA; the latter is to get the real compensation from the government. (1) Why would the current Administration feel good about today’s opinion? Yes, most of the plaintiffs claims were barred, but as the dissent pointed out, the court’s analysis was a joke and makes this country one step closer to a banana republic. If you want to encourage private capital and strong property rights, you have to throw this decision in the trash can. (2) Why wouldn’t the current Administration simply say “we think we are eventually going to lose on the remanded contract law claims, and the Takings claims in the other court?” And regardless, we need to move forward with something other than nationalizing profit and privatizing loss. (3) Isn’t the best path forward the same now as it was before? Recap and release? I suspect the current administration does not take too much joy from today’s opinion, because it complicates the task it has ahead. Politically, it’s hard to come out and say you think you’ll lose a case in which you’ve just received what appears to be a favorable decision. And the best path forward never was “recap and release;” it was “reform, recap and release.” In my opinion it’s still the best, but today’s decision makes it harder to navigate. I want to remind everyone: the fight is far from over. I believe Perry will very likely appeal to Supreme Court. If that happens, the decision means nothing in long term. I still have faith in US judicial system. Tim , what would happen now to other cases like Saxton (Judge Reade) and Arnetia Robinson appeal and Judge Chang ?? I’m not familiar with either one in enough detail to have an opinion on that, although if you were to ask me to guess I would say they likely will be dismissed. So, I am trying to understand this Perry ruling in the context of the oral arguments. Wasn’t Judge Brown the one that didn’t really ask many questions? The floor was mostly Millett and Ginsburg correct? My incorrect impression back then based on the lines of questioning was that Millett and Ginsburg were each likely on opposite sides of the issue and no one could pinpoint where Brown would fall. Seems that, in the end, they were all shifted. I purchased my preferred shares after the conservatorship. I bought them cheap with the expectation (FHFA might call it ‘speculation’) that the rule of law would be followed, like Judge Brown said in her dissent, and they would spike as a result. I guess I just try to keep the faith after this that they wont be worthless! I’m hoping Mnuchin comes through for me! My reading of the transcript of the April 2016 oral argument was that Millett was clearly in favor of upholding Lamberth’s ruling in Perry, that Ginsburg was clearly in favor of remanding or reversing it, and that Brown, although she didn’t say much, sided with Ginsburg in favor of reversal or remand. Ginsburg was the one who surprised me in this ruling. I may have just read his questions and comments wrong, or he may for some reason have changed his mind or been persuaded by Judge Millett to come around to her point of view. In retrospect, I also read too much into the time it took for the ruling to be made; I felt that if a majority were in favor of upholding the Lamberth decision, a decision would have issued more quickly. Are Wallison and Ginsburg friends? Yes, they know each other very well. I listened a law conference audio, where Ginsburg chairs discussion about FnF. All thought that Ginsburg will be favorable to plaintiffs. But doubt was lingering because of they may be friends. Both Wallison and Pollock attended this event with Ginsberg http://www.fed-soc.org/multimedia/detail/government-control-v-the-free-market-event-audiovideo Interesting! Does a dissenting opinion by Judge Brown have any value to Perry and/or Fairholme? How can it be used going forward? I don’t think so. Brown made some very good arguments in her dissent–better ones than the majority did–but the next round on this will be argued before the Supreme Court, and plaintiffs counsel will be more than capable of making the same points Judge Brown did, and more, themselves. How does this go to SC though if there is a settlement? If there is a settlement the case will not be appealed to the Supreme Court. (b) conceding Lamberth as law and then arguing that it’s unconstitutional. We don’t think Congress legislated unconstitutional law for reasons a-z, and, therefore, we find these two rulings flawed. But, IF congress did legislate bad law, then please rule it as unconstitutional etc. I think C is permissible but I’ve never heard anyone comment on that. That’s one to leave to the legal team, which is best equipped to make that call. Could the panel have said, we believe congress gave such latitude while thinking it was unconstitutional. IOW, if the 2 of 3 think it is an unconstitutional law, were they permitted to rule as such or were they bound to rule according to what they thought was legislated by congress? perry appeals court construed HERA. they did not make a constitutional analysis since that analysis is really in court of claims with fairholme, which argues that NWS is enforceable under HERA, then it is unconstitutional under 5thA to constitution unless a damage remedy is provided. that is for judge sweeney. so for example, perry court stated that HERA assigned all common shareholder rights to FHFA as conservator. i think they got this wrong, but only judge brown agrees with me. now in court of claims, fairholme will argue that because HERA assigned those shareholder rights, that constitutes a taking. What is the status of the takings case now that the 48 docs have been released? This still has a long way to go does it not? Seems that the admin will do something prior to this being heard. Given that this ruling seems to in part rely on false premises/factually inaccurate information regarding the events surrounding the implementation of the conservatorship and since the court points to the plaintiffs’ apparent support of the court’s version of events (i.e. plaintiffs’ didn’t challenge the original conservatorship, prior ammendments to SPSA, or the constitutionality of HERA), do you think Washington Federal will now get the financial support it needs to move forward? That will be up to the “deep pocket” plaintiffs. But if it were my call, effectively taking control of the Washington Federal case by agreeing to finance it to its conclusion or settlement is something I would seriously consider, if for no other reason than to try to regain some of the bargaining advantage I think I would have lost from today’s appellate court ruling. Suing Congress is a better strategy. One, Congress gives FHFA unlimited power. Two, Congress gives Boards immunity so they are not responsible for anything. Three, it essentially confiscated two businesses for public good. Such a strange turn in events, yet the underlying issue still stands… How do Fannie and Freddie exit conservatorship, recap, and continue to serve as the backbone of the housing market? Whether one can in fact create two classes of Fannie and Freddie junior preferred stock–as was suggested in the majority ruling of the appellate court–is a legal issue that is beyond my expertise. Your second question now takes center stage. Prior to today’s ruling, I thought there was a simple path to reforming, recapitalizing and releasing Fannie and Freddie. I no longer do. There should still be a path–I certainly hope there is– but it will not be a simple one. My supposition is the Tsy will want to (a) sell the warrants and (b) sell them at best pps possible. If that is axiomatic for them, then wouldn’t the rest have to fall into place in some way? Regarding (a): Can’t exercise warrants until NWS is stopped. So, NWS must be stopped. Regarding (b): Can’t maximize revenue from warrants by diluting shares through raising capital through more shares. Also, there’s the hot stove you mentioned. So, a combination of Ackman G-fees plan regarding raising capital plus indexing overage paid to Tsy toward recap would be one solution. If Tsy wants the warrants at best price, they need to do something. The Ackman way isn’t best for pfd holders, but that might be more palatable to those law makers of who despise unjustly the Hedge Fund plaintiffs. i certainly agree that the solution path has gotten more complicated. the big question is whether mnuchin et co. believe that the path still is best pursued through a recapitalized private GSE, and whether treasury should seek to achieve as good a valuation for the warrant position as it can in the process. if so, big picture, i am not sure much has changed. certainly those in congress that would like to see a wind down will argue that this is now economically more feasible. but that would not be relatively fast, per mnuchin’s preference, assuming this preference was driven by financial concerns rather than legal analysis. also, nothing in this perry decision adversely affects the takings claims, for both pref and common, in the court of claims. so while the legal pressure on treasury is reduced, it hasnt been eliminated. and ironically, assuming treasury would like to see some economic value for its warrants, preserving that economic value aligns treasury with Ps in a way that those who have railed against the warrants should now appreciate. as a lawyer, i feel like i should take a shower after reading this decision. as an investor, while the market has appropriately given the stock a haircut, i think a somewhat-friendly GSE resolution can still be achieved in the political realm with mnuchin driving the negotiation. There is nothing in either of the preceding two comments that I disagree with (except I don’t endorse the Ackman idea of boosting guaranty fees solely for the purpose of recapitalizing the companies; I think guaranty fees have to maintain their connection to the credit risk and capitalization of the loans being financed). If Mnuchin sees the Fannie and Freddie model as the best one for the U.S. secondary mortgage market going forward, it makes no sense to extinguish the two existing companies then try to create something just like them from scratch. He needs to work with what he’s got, and that means ending the net worth sweep. Very likely the warrants will play a bigger role in the settlement process than they might have done had the appellate court decision gone the other way. And I continue to think that the process becomes more tenuous politically because Treasury will be perceived as giving up revenue as it seeks to get to the right solution on mortgage reform. As a practical matter, would you care to opine what it would mean to getting these important entities out of government control while destroying current shareholders. Meaning how would they raise the capital, who in their right mind would think they are investable if current holders are wiped out? Isn’t the governments intersts aligned regardless of what happens in the lawsuits given what Sec Mnuchin has said and the warrants they currently hold? They are virtually deprived of capital, where do they get it? If you believe the Fannie/Freddie model is the best one for a “reformed” system–and I think Secretary Mnuchin does–then it’s very difficult to see how you can preserve that if you allow the actions of the previous two Treasuries (Bush and Obama) of taking the companies over without statutory authority then appropriating all of their assets to stand. As you say, why would any sensible investor sit on that hot stove again? That’s why I’ve referred to this ruling as a serious complication, but not a roadblock. By leaving (for the moment) the net worth sweep intact, Fannie and Freddie have to turn all of their profits over to Treasury in perpetuity, and Treasury retains a $189 billion liquidation preference should FHFA elect to put them into receivership. Had the net worth sweep been reversed–or remanded with the likelihood of being reversed–the expectation for the companies would have been for the excess sweep payments to have been re-characterized as paydowns of the senior preferred, leaving Fannie with only about $8 billion outstanding and Freddie with about $5 billion outstanding at the end of 2016 (before the scheduled March sweep payments) and allowing them to keep virtually all of their retained earnings as capital. At least in my view, moving the starting point from Fannie and Freddie having substantial annual retained earnings and minimal outstanding senior preferred stock to their having no retained earnings and still owing Treasury $189 billion gives Treasury much more leverage in determining where they end up. Mnuchin may feel it’s not in his best interest to use that leverage, but he clearly has it. I think the Appeals Court decision also complicates things politically. With a decision against the net worth sweep, the government would have lost the right to the income stream it’s been getting from Fannie and Freddie. With today’s decision, the government still has this income stream (although it’s being challenged elsewhere), making it less easy to give up without some alternative compensation. Therefore, the warrants – the exercising of more greedy theft, becomes their additional compensation. Filthy lucre. I’m not a legal expert. Questions: Does the decision state NO shareholder can sue FHFA? Or no shareholders after FHFA enactment can sue FHFA? Then who can sue FHFA for breach of contract? I think Plaintiff better take the issues to Supreme Court, or sue Congress directly. The appellate court did state that no shareholder can sue FHFA for statutory violation of HERA, which is the “big” decision, leaving the net worth sweep intact. But the majority also said that shareholders could bring direct (but not derivative) claims against FHFA (in its role of conservator) for breach of contract, and remanded that issue to the lower court for its decision. I have a few quick reactions to the ruling. First, there was a good dissenting opinion written by Judge Brown, making the point (which many of us have often noted) that the conservatorship and receivership provisions in HERA were taken directly from law governing the actions of the FDIC, and that if this appellate court decision stands it would mean that the FDIC could similarly conflate its actions as conservator and receiver, which would be highly destabilizing to the U.S. financial system. I am surprised that Judges Ginsburg and Millett weren’t persuaded by this argument, and it’s one reason (but not the only one) I believe the decision will be appealed to the Supreme Court. And two lesser points. It’s clear to me that the facts unearthed in discovery in the Court of Claims cases that were shared with the appellate court judges had no discernible effect on their view of the substance of the case. Even Judge Brown repeated the fiction that prior to the conservatorship Fannie and Freddie “had acquired roughly a trillion dollars’ worth of subprime and nontraditional mortgages”– a “fake fact” from AEI that is easily refutable. I wonder to what extent belief in Treasury’s false narrative–and the related inference that the plaintiffs are just greedy hedge funds looking to make a quick killing–influenced the majority ruling. Also, I don’t view the remand of the breach of contract claim as favorably as others seem to, and also note that the majority specifically drew a distinction between the rights of preferred shareholders who purchased their shares before the conservatorship versus those who purchased them afterwards. One final point: we still have the regulatory takings case in Sweeney’s court, where discovery is ongoing, as well as the suit in Delaware District court that the net worth sweep was void ab initio under Delaware law. Nonetheless, there’s no question that this decision by the D.C. Court of Appeals is a major setback to the goal of getting Fannie and Freddie out of conservatorship and recapitalized. Tim, what’s your take on this? I’m reading the decision now. I’m only about a third of the way through it, but it’s clear that the majority (judges Ginsburg and Millett) accepted the lower court argument that the language of the Housing and Economic Recovery Act gave FHFA nearly unlimited discretion to manage Fannie and Freddie as it saw fit, and that its actions did not have to be consistent with conserving their assets nor were FHFA’s motives for acting as it has done relevant in assessing whether it had exceeded its authority. It’s a sweeping decision that comes as a great surprise to me, and I’ll be very interested to learn plaintiffs counsel’s reaction to it. I do note that the appeals court remanded the breach of contract claim (affecting the right of preferred shareholders) to the lower court for further consideration, but I’ve not yet reached that point in the opinion so don’t yet know how to think about it. Excited to see the rest of your opinion regarding the remand, but in the meantime..may I ask..do you believe this will this have an affect on how mnuchin decides to move forward? Does this shift all negotiating power in his favor? Does he even need to negotiate now? Thanks! This decision does give the Mnuchin Treasury more leverage against the plaintiffs in any settlement of the lawsuits. (The Perry Capital decision almost certainly will be appealed to the Supreme Court, and we still have the cases in the Federal Court of Claims and the Delaware District Court outstanding). I think Mnuchin still needs to negotiate, because I believe he thinks Fannie and Freddie have the best model for secondary mortgage market finance and can’t just be “wound down”. Pages 101-103 of Judge Brown’s dissenting opinion are particularly moving given the gravity of the subject at hand.